After receiving a BFA in Painting, from RISD, Lawson returned to his home city of Baltimore to live and work. Lawson makes all of his artwork with a computer controlled plotter originally designed to cut vinyl, which has been modified to produce marks with a variety of implements. Producing hybrid artworks at the intersection of drawing and painting, Lawson’s work resides at another intersection, between hand-made and computer processed. While he continues to experiment with new instruments (paint brushes, felt tip markers, airbrush etc. ), the linear-fill of color across the surface is akin to his past work with silk-screen printing, often layering many colors to produce a unique final work. Lawson uses found imagery, which is scanned and edited in digital form. 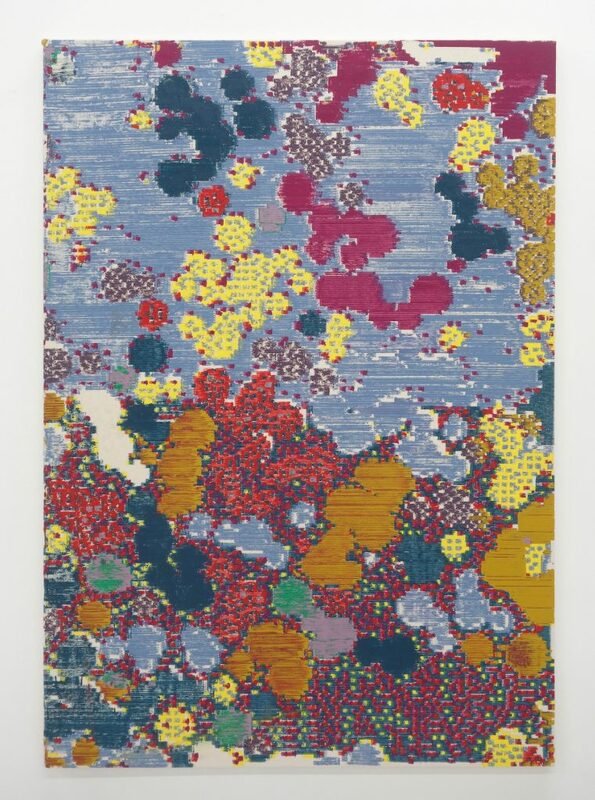 The images are reused and recombined in shifting scales and color palettes, to produce a series of variations, and iterations, each unique despite formal and aesthetic echoes.